Every year, the arrival of a new season of HBO’s Game of Thrones is greeted by a predictable stream of click-bait articles by historians seeking to attach their bandwagons to the TV and publishing phenomena. The discussions tend to be superficial, bordering on the ridiculous: Is Game of Thrones based more on medieval or early modern history? Which historical example is the precedent for the Red Wedding? For those of us who have spent most of our adult lives waiting for George R.R. 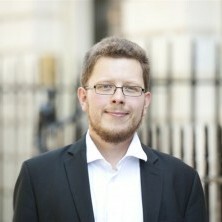 Martin to produce new volumes they are also intensely unsatisfactory. The problem is that, with a few exceptions, the series has drawn attention from people who know their history, but whose knowledge of Game of Thrones, and especially the book series that it is based upon, A Song of Ice and Fire, is only skin-deep. That means that the really interesting questions about what George R.R. Martin does with history tends to remain unasked. It is unsurprising that George R.R. Martin draws from history: authors of fantasy literature have been doing so ever since Tolkien transformed his beloved Anglo-Saxons into the horse-riding Rohirrim. Martin’s genius lies in the way that he subverts our expectations, using the historical models to make us misunderstand what is going on. The fatherless princes Joffrey and Tommen recall the famous princes in the tower, Edward V and his brother Richard, who were so cruelly murdered by their hunchbacked uncle Richard III. 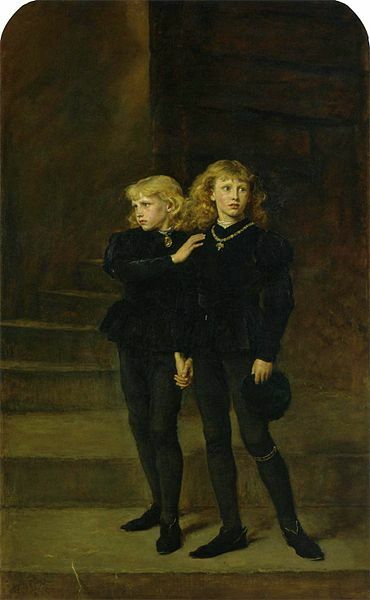 Like the historical princes, Joffrey and Tommen are left without a father and threatened by a murderous uncle; like them – in John Everret Millais famous picture – they are conspicuously blonde. But unlike the historical princes Joffrey and Tommen are in fact illegitimate (and the elder a murderous psychopath). Similarly, the shadow of the villainous Richard III looms large over two of the princes’ uncles: the dwarf Tyrion and the stern Stannis Baratheon. Both of whom in fact turn out to have considerable virtues. These false similarities alert the reader to the distance between image and reality, a central theme in Martin’s work. We misread the historical examples the same way that Game of Thrones’ characters misread their contemporaries’ character as well as their own history: they have forgotten the purpose of the Wall, and the Night’s Watch. They repeat their words ‘the shield that guards the realms of men, the horn that wakes the sleepers’ but have forgotten that it does not refer to a war between wildlings and southerners, but between mankind and the icy death marching down from the north. In the end Game of Thrones asks us whether we too have misidentified the real threats that confront us. The dangers of climate change have only grown more serious and apparent in the decades since Martin began writing. Winter, or should that be a no-less deadly Long Summer, is indeed coming. But like the decision makers in Westeros our attention is constantly drawn away from the real challenges by immediate political conflicts. We ask: who will sit the Iron Throne? Martin answers: will there be anyone left to do so when spring comes?